Brisbane Southside – Fluid first aid has arrived! First aid courses offered by Fluid First Aid in Brisbane South have helped many of our trainees to competently provide quick and proper attention to injured, wounded or sick people before the arrival of medical personnel. They have helped to save lives, prevent an injury or illness from getting worse and provided assurance to both the casualty and bystanders alike, that the situation was under control. First aid training gives you the ability to react quickly to a medical emergency to reduce further harm, to alleviate suffering and to provide comfort. First aid skills are not difficult or complex, but when bystanders are without proper first aid training, they often lack the confidence and ability to act in a systematic way to effectively help the situation. The presence of someone who has learnt and practiced the skills in a course can make a massive difference as they can stand in confidently, respond effectively and may well be a life saver. Emergencies occur everywhere, all the time. In homes, schools, workplaces, while travelling and even at leisure events. Natural and man-made disasters are also the cause of a great number of medical emergencies. Preparedness through training beforehand helps to mitigate the effects. When you undertake first aid training, you are aiming to prevent further injury, further pain and unnecessary movement, and preserve life. Access to immediate first aid can greatly impact a medical emergency and a first aid training course will equip you with the knowledge you need to help the casualty until help arrives. Our first aid courses are nationally recognised and delivered to you in partnership with Inscope Training RTO 40926, to help you build effective skills. Through a combination of online video lessons, theory assessments and hands-on practical sessions running multiple times a week, you take the classes at your own pace, which allows you to fit the training into your schedule. We offer on-site training for groups of any size, and we work with you to find convenient training schedules. Our pricing is competitive, and we provide complimentary resources and materials. Upon completion of your course, you will receive your certification issued digitally in the fastest time. We also furnish first aid kits and equipment necessary to deal competently with any medical emergency through our partner First Aid Kits Australia. 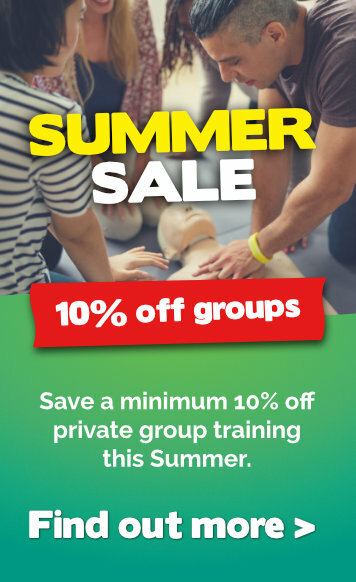 If you are looking to do a first aid course and live or work in the Brisbane Southside area, we will be happy to talk to you, to arrange how we can be of help. We assure you of comprehensive, high quality training. Give us a call on 1300 976 276, email us at hello@fluidlearning.com.au, or reserve your place via our online booking form. It could mean the difference between life and death! The premium training venue Springlake Hotel is only a short drive from Springfield, Springfield Lakes, Ipswich, Forest Lakes, Redbank Plains, Rocklea, Sunnybank and most other Brisbane Southside suburbs. 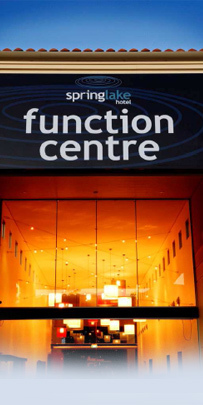 *Use Functions Centre entrance on the righthand-side of the Hotel towards the rear. Ready to experience fluid first aid training?